It's fun getting caught up in the hype of cutting-edge gadgets and the excitement of new releases, but don't you sometimes feel like demanding that the good old days of analog and Lo-fi come back around? Sure, there is always some killjoy reminding you of what a hassle LPs and rotary phones actually were, but sometimes nostalgia breeds quirky and unexpected improvements, a la what Hipstamatic did for everyone's Facebook photos. Fortunately, despite countless modern updates and upgrades, certain elements of old school technology refuse to go away. Welcome to Back by Popular DEWmand, a new series in which we take a look at some nifty modern innovations that bring back the best features of outmoded gadgets—inspired by Mountain Dew. 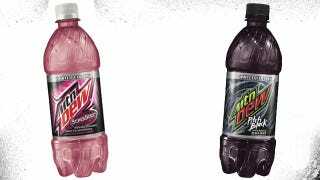 Check back soon when we look at some more old tech turned new, and head here for more info on MOUNTAIN DEW PITCH BALCK® and MOUNTAIN DEW SUPERNOVA®, the legendary flavors that Mountain Dew has finally brought back due to popular DEWmand!